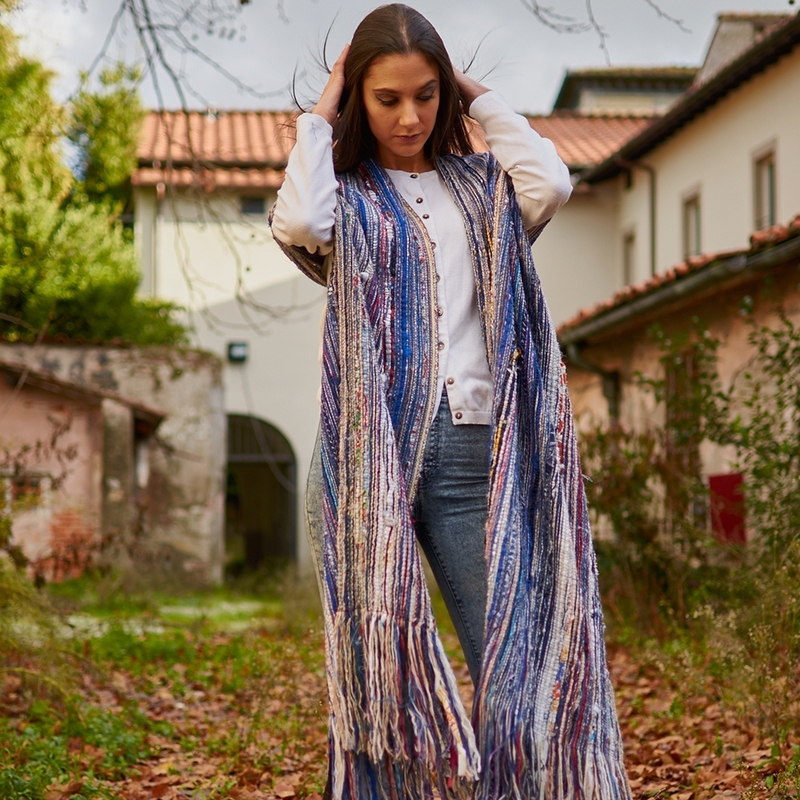 A dedication to the old art of recycling; weavers from the past called "pezzotti" those particular carpets woven using old pieces of fabric cut into thin stripes and used in the plot. Creations gathered in this collection are an artistic reworking of this old technique. Employing precious materials such as cashmere, silk and alpaca this weaving technique has been revised in order to obtain this particular look with its beaming variety of colors.